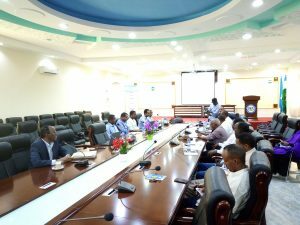 Inter-Ministerial meeting between MoPIC and MoF of Puntland state were held in the conference room of MoF Chaired by the DG of MoF. 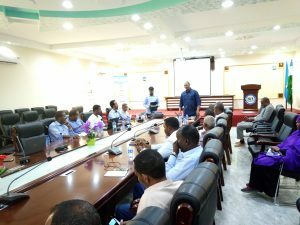 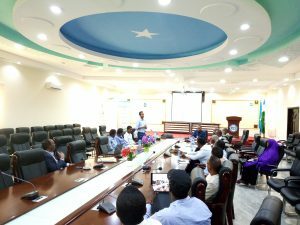 MoPIC department of statistics presented the draft estimations of Puntland GDP of 2012-2017 and the Monthly report of CPI reports to staff and the consultants of MoF to get their comments. 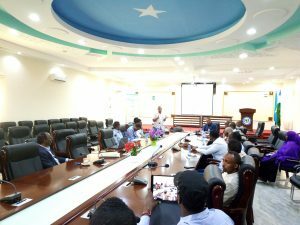 The two ministries agreed to create inter-ministerial forum for discussing macroeconomic issues.